The Washington State Legislature July 1 voted to approve more than $1 billion in new annual revenues for transportation infrastructure, becoming the seventh state this year to raise its gas tax. The 11.9 cents-per-gallon gas tax increase will be gradually implemented between Aug. 1 and July 1, 2016. It is the largest gas tax increase in the state’s history, and the first in a decade. The funding plan also includes an increase in transportation-related fees, including those for overweight vehicles. The legislation designates $8.8 billion to state and local road projects, $1 billion to non-highway projects—such as bike paths, pedestrian walkways, and transit—and $1.4 billion to maintenance and preservation. 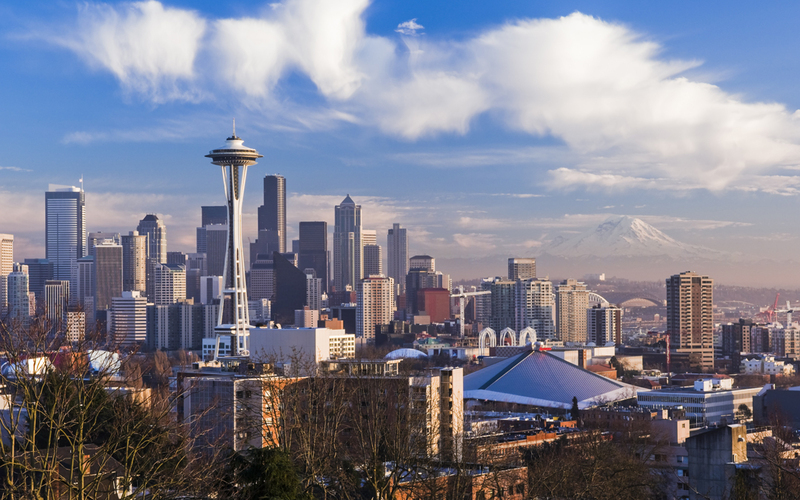 The bill also sets the stage for a regional referendum to increase taxes to provide an additional $15 billion for Sound Transit to expand its light rail system in metropolitan Seattle. After months of debate, a transportation funding compromise was announced by legislative leaders at the beginning of the state’s third special session on June 28. The deal—Senate Bill 5987—was subsequently passed by the Senate by a vote of 39-9. House lawmakers added a floor amendment and passed the bill 54-44 in the early hours of July 1. The Senate returned and promptly approved the bill with the House’s amendment 37-7. The bill now goes to the desk of Governor Jay Inslee (D), who signaled in a June 28 news release that he will sign it. The Senate has also voted 40-7 to approve Senate Bill 5989, authorizing $5.3 million in General Obligation bonds for transportation projects. This bill is currently pending a second reading in the House. Washington joins Idaho, Iowa, Georgia, South Dakota, Utah, and Nebraska among states agreeing to increase gas taxes this year.